Increasing the efficiency of your facility through the reduction of unplanned downtimes and better preventative maintenance. Of all the sources of waste in the manufacturing environment, unplanned stoppages represent one of the largest contributors. 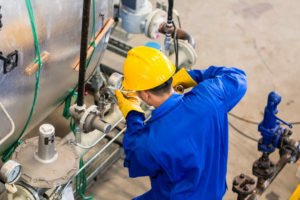 From unreliable equipment to overly complex processes, these events can derail the goals of the manufacturing organization and result in substantial costs in both money and reputation. Fortunately, this type of waste is fairly easy to treat. 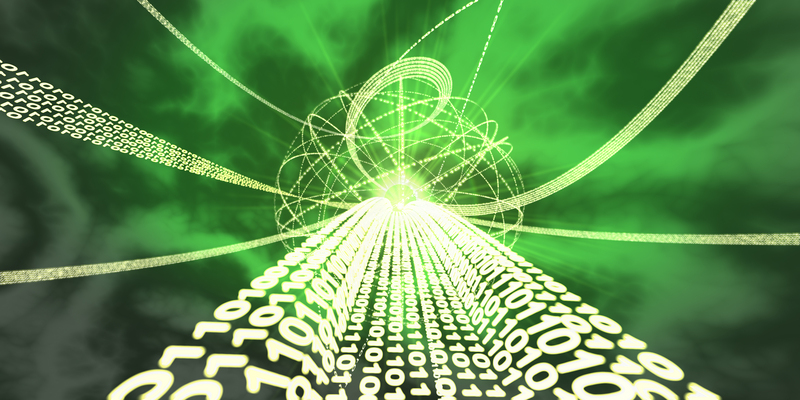 Alongside a disciplined maintenance procedure, reliable and quantifiable data can help lead preventative maintenance activities in the right direction, treating the root cause of downtime and measuring the effectiveness of remedial activities. Quickly and accurately transmitting details of unplanned stoppage events to the maintenance team using tools such as overhead graphic displays, alarm status displays and mobile technology, can significantly shorten the downtime event. It is this timely communication that allows production to resume and in turn reduces cost and minimizes impact. Properly managed preventative maintenance schedules coupled with disciplined processes can reduce the occurrence of unplanned stoppages, thereby reducing lost production time. 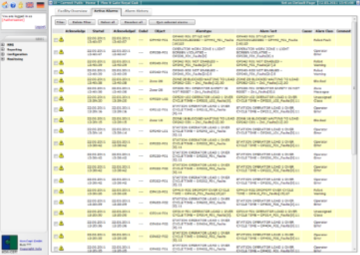 Proper analysis of historical downtime events can help to focus continuous improvement activities on the true root cause of unplanned stoppages. Regular use of these analysis tools can also help to show the effectiveness of continuous improvement efforts, providing a data driven measurable standard for future benchmarks. Quickly transmit information of unplanned stoppages with visual aids or via SMS/email to mobile devices. Not only can this speed up reaction, but with detailed stoppage information, teams will be prepared to deal with the nature of the stoppage in advance. 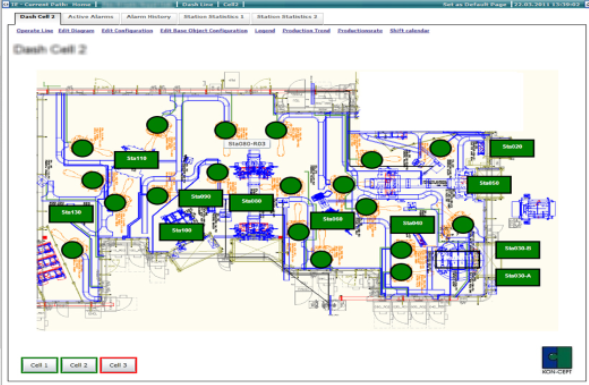 Production and Maintenance staff can generate ad hoc maintenance orders based on unplanned events. These orders can be linked to equipment or process alarm occurrences and will be handled in the same way as planned maintenance events. 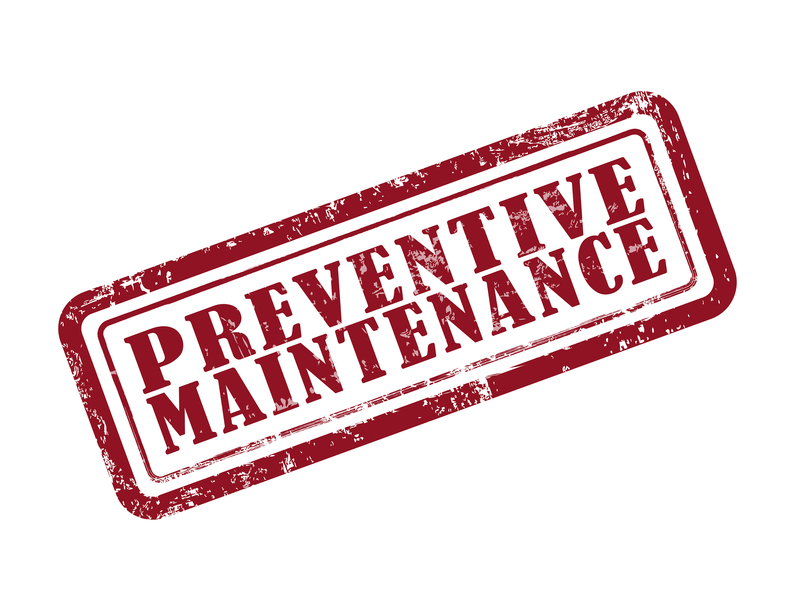 Protect your investment by creating preventative maintenance triggers based on hours run, parts build, SPC limits or any other number of factors. From these triggers, maintenance orders will be created and directed to maintenance supervision for material appropriation and assignment. Maintenance tools such as Maximo or SAP PM have the benefit of ERP integration allowing access to HR and Material Ordering functions. Our maintenance solution integrates seamlessly with these systems, bringing with it data from the shop floor to enable the Reactive and Preventative functions detailed above. 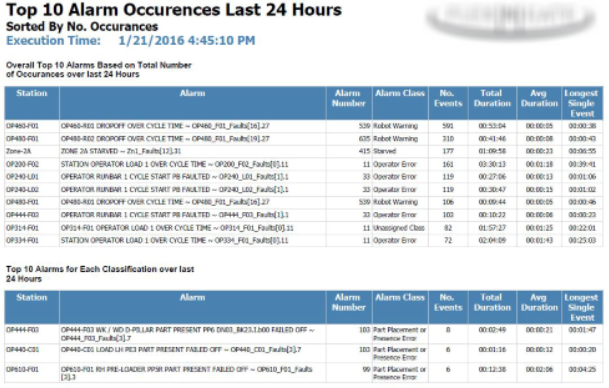 Specially designed maintenance reports detail the “heavy hitter” stoppage events which interrupt production. Example: Top 10 Alarm Occurrences based on accumulated downtime duration. Does Maintenance Support sound like a Solution that can help prevent waste in your facility? Or perhaps you just have a question. Either way, we would love to hear from you.